•	A dedicated RPF Women Squad named as ‘JOYMATI BAHINI’, comprising women sub-inspector and constables of the Railway Protection Force (RPF) was officially launched at Kamkhaya Railway Station in Guwahati. •	It was named after the courageous princess, Joymati to have a constant motivating factor to be courageous, and dedicated at all times in the service to society. •	The main aim of the Joymati Bahini is to strengthen women security around Guwahati region within railway premises and trains. •	The ICAR has recently launched Rs 1100 crore ambitious National Agricultural Higher Education Project (NAHEP). •	To attract talent and strengthen higher agricultural education in the country. •	Funded by the World Bank and the Indian Government on a 50:50 basis. •	The objective of the NAHEP for India is to support participating agricultural universities and ICAR in providing more relevant and higher quality education to Agricultural University students. In addition, a four year degree in Agriculture, Horticulture, Fisheries and Forestry has been declared a professional degree. •	It also aims to promote and raise awareness about Chilika being the largest repository of migratory birds in Asia. •	India is the only country among the 11 highest-burden countries that saw substantial progress in reducing disease burden. •	India saw a 24% decrease in 2017 compared to 2016. •	India has assumed a leadership role in advancing global efforts to end malaria. •	The country’s success provides hope to the other highest-burden countries to tackle malaria head-on. •	Outcome of concerted efforts via country-owned and country-led malaria programme. •	During 2015 East Asia Summit, India pledged to eliminate the disease by 2030. •	Five-year National Strategic Plan for Malaria Elimination (2017-22) provides for target of ending malaria in 571 districts out of India’s 678 districts by 2022. •	The current Government has pledged to eliminate malaria by 2027 and urged the states for active cooperation. •	Adequate investment combined with coordinated action between governments, civil society and philanthropic donors. •	Health is a State subject. State governments across the country shoulder a special responsibility in tackling the disease. •	. The festival was organized by the Ministry of Tourism at the Red Fort from 26th to 31st of this month. •	The major attractions of the festival were the replica of the Statue of Unity and also a Gandhi Gram in which 10 painting artists created paintings on the theme ideology of Mahatma Gandhi. •	Twenty-seven states participated in the festival by showcasing their food, handicrafts and tourism products. •	Addressing the gathering at the closing ceremony Tourism Minister K J Alphons said, that everyone should travel and promote tourism in the country. •	The Kerala government will soon launch a `Pravasi Dividend Pension Scheme`. •	The government will provide regular pension to Non Resident Keralites on a one-time payment of Rs 5 lakh. •	The one-time payment of Rs 5 lakh will be deposited with KIIFB (Kerala Infrastructure Investment Fund Board) for financing infrastructure projects. •	The state would also set up a call centre with an international Toll Free Line to provide information, register complaints and details about action taken on various issues faced by the Non-Resident Indians. 7. Uttarakhand`s first tulip garden will come up over 50 hectares of forest land in Pithoragarh district. •	The garden will be developed by the ONGC, under its corporate social responsibility programme in over 50 hectares of forest land near Chandak hill top. 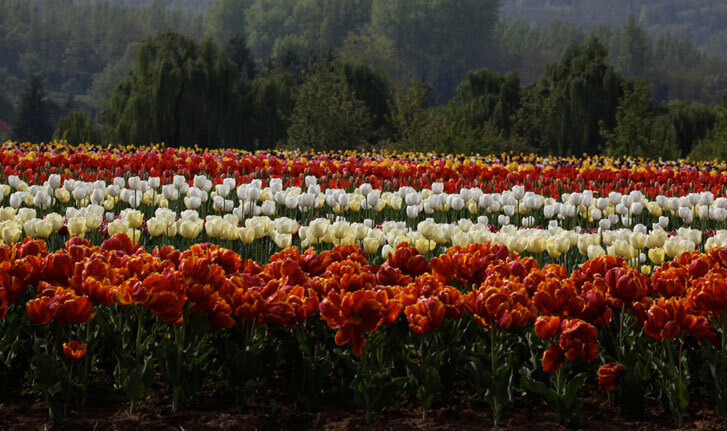 •	The proposed tulip garden will be the country`s second after the one located in Srinagar (J&K). 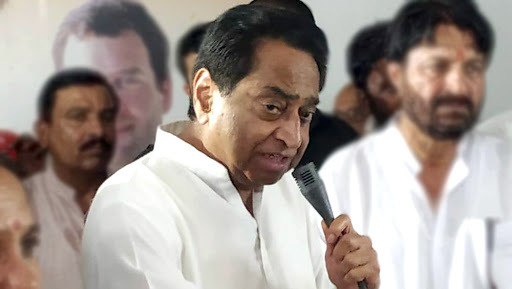 •	Madhya Pradesh Chief Minister Kamal Nath announced the launch of the `Yuva Swabhiman Yojana` for youths from the economically weaker sections in urban areas. •	Under this scheme, 100 days of employment will be provided to youths from economically weaker sections in urban areas. •	The urban poor youth are left out as those in rural areas get employment under the Mahatma Gandhi National Rural Employment Guarantee Act (MNREGA). 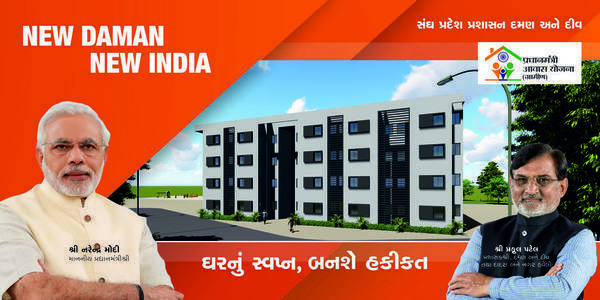 This scheme will effectively cover urban youth. •	Union Minister for Science & Technology, Earth Sciences and Environment, Forests & Climate Change, Dr. Harsh Vardhan will be launching three important centre’s set up by Department of Science and Technology (DST), nucleated at Indian Institute of Technology, Madras. •	The first of these is the establishment of DST –IITM Solar Energy Harnessing Centre. •	Second in line is the DST-IITM Water –IC for SUTRAM of EASY WATER (DST- IITM Water Innovation Centre for Sustainable Treatment, Reuse and Management for Efficient, Affordable and Synergistic Solutions). •	The third one would be the Test bed on Solar thermal desalination solutions which are being established by IIT Madras and Empereal KGDS. •	The Centre moved the Supreme Court seeking its permission to return the 67-acre acquired land around the disputed Ram Janambhoomi Babri Masjid site to original owners. •	In a fresh plea, the Centre said it had acquired 67 acres of land around the 2.77 acres disputed Ram Janambhoomi-Babri Masjid site. •	The plea has said that the Ram Janambhoomi Nyas (a trust to promote construction of Ram Temple) had sought the return of excess land acquired in 1991 to original owners. •	Earlier, the apex court had ordered that the status quo be maintained with regard to the acquired 67 acres of land around the disputed site. •	The central government had acquired 67 acres of land around the disputed site in 1991. •	The Union Human Resources Development Ministry has signed an agreement with Organisation for Economic Co-operation and Development (OECD) for India’s Participation in Programme for International Student Assessment- PISA 2021. •	The students will be selected by PISA through random sampling. The schools run by Kendriya Vidyalaya Sangathan (KVS), Navodaya Vidyalaya Samiti (NVS) and schools in the UT of Chandigarh would be participating. •	India’s participation in PISA- 2021 would lead to recognition and acceptability of Indian students and prepare them for the global economy in the 21st century. •	It is an international assessment that measures 15-year-old students’ reading, mathematics, and science literacy every three years. •	First conducted in 2000, the major domain of study rotates between reading, mathematics, and science in each cycle. PISA also includes measures of general or cross-curricular competencies, such as collaborative problem solving. •	By design, PISA emphasizes functional skills that students have acquired as they near the end of compulsory schooling. 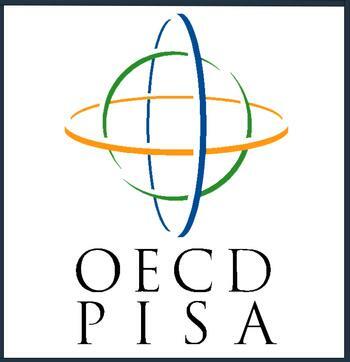 •	PISA is coordinated by the Organization for Economic Cooperation and Development (OECD), an intergovernmental organization of industrialized countries, and is conducted in the United States by NCES. Data collection for the most recent assessment was completed in Fall 2015. •	In 2012 PISA test, schools of Shanghai in China topped reading, mathematics and science test, followed closely by Singapore. In 2015, Singapore, Japan and Estonia were ranked as top three countries, in that order. •	The Maharashtra government launched a special scheme to curb infant deaths. •	Child Development Minister Pankaja Munde distributed baby-care kits to the children born in primary health centres and government hospitals. •	The scheme is applicable only for the first child and will benefit around four lakh women across the state, Women. •	Each kit contains a blanket, a small mattress, a towel, a thermometer, baby oil, shampoo, toys, nail-cutter, gloves, socks, among other things. The cost of the kit is around Rs 2,000. •	The Supreme Court will hear in April a curative petition filed by the Centre seeking Rs 7,844 crore additional money from US-based Union Carbide Corporation (UCC), now owned by Dow Chemicals, to provide compensation to victims of the 1984 Bhopal gas tragedy. •	More than 3,500 people were killed instantly when poisonous gas leaked from the Union Carbide pesticide plant in Bhopal on the night of December 2-3, 1984. Thousands more have died over the years. Many more thousands have been maimed or suffer from serious health issues due to their exposure to the gas. •	It is the last judicial resort available for redressal of grievances in court which is normally decided by judges in-chamber. It is only in rare cases that such petitions are given an open-court hearing. •	The concept of curative petition was first evolved by the Supreme Court of India in the matter of Rupa Ashok Hurra vs. Ashok Hurra and Anr. (2002) where the question was whether an aggrieved person is entitled to any relief against the final judgement/order of the Supreme Court, after dismissal of a review petition. Article- 137 of the Constitution subjects to the provisions of the guidelines made under Article 145, by which it is clear that the Supreme Court has the ability to review any judgment declared by it. •	Minister of Railways & Coal, Shri Piyush Goyal announced the name Vande Bharat Express for Train 18, acknowledging its made-in-India status. 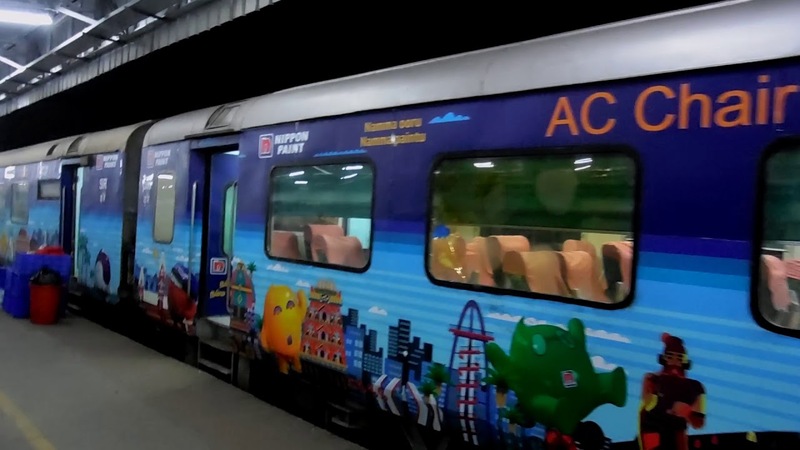 •	This train set has been manufactured by Integral Coach Factory (ICF) in the period of 18 months under `Make in India` program. •	Vande Bharat Express is India`s first semi-high speed train equipped with world class passenger amenities. •	It can achieve high speeds (max speed of 160 kmph) due to faster acceleration & deceleration and will reduced journey time to 8 hours between New Delhi & Varanasi . •	Union Minister Nitin Gadkari inaugurated, 5.1-kilometer long “Atal Setu” bridge across river Mandovi in Panaji, Goa. •	It would be third such bridge to connect the state capital with North Goa. 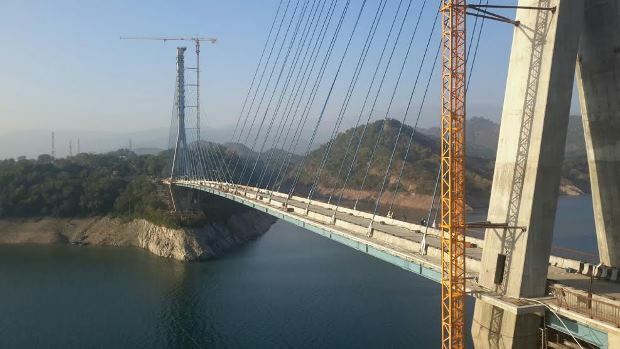 •	The bridge is constructed by the GIDC (Goa Infrastructure Development Corporation) and engineering and construction major Larsen and Toubro. •	The link will decongest Panaji to a great extent, as approximately 66,000 vehicles enter the capital city every day. •	Beating the Retreat ceremony, marking the culmination of four days long Republic Day celebrations were held at the historic Vijay Chowk in New Delhi. •	Bands from Army, Navy, Air Force, State Police and Central Armed Police Force (CAPF ) presented 27 performances on the historic Vijay Chowk which enthralled the spectators with their captivating and foot-tapping music. •	Out of the 27 performances, 19 tunes were composed by Indian musicians, which include Indian Star, Paharon ki Rani, Jai Janam Bhumi, Queen of Satpura, Vijay Bharat, Aakash Ganga, Gangotri, Namaste India, Samudrika, Jai Bharat, Young India, and Veerta Ki Misal. •	Eight western tunes like Sound Barrie’, Twilight, Space Flight, Drummers Call were also the part of Beating the Retreat. •	The event came to a close with the ever-popular tune of Sare Jahan Se Acha. •	This year, 15 Military Bands, 15 Pipes and Drums Bands from Regimental Centres and Battalions also participated in the ceremony. •	The ceremony traces its origins to the early 1950s when Major Roberts of the Indian Army indigenously developed the unique ceremony of display by the massed bands. 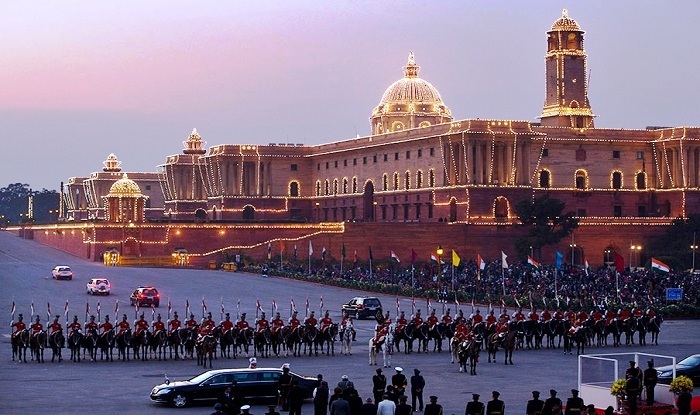 ‘Beating Retreat’ marks a centuries-old military tradition, when the troops ceased fighting, sheathed their arms and withdrew from the battlefield and returned to the camps at sunset at the sounding of the Retreat. •	Government of Arunachal Pradesh declared the Pakke Paga Hornbill Festival (PPHF), as a “state festival”. •	The first-ever PPHF was held on January 16–18, 2015. •	It is the only conservation festival of Arunachal Pradesh. •	Arunachal Pradesh Forest Department will fund the festival from 2020 and permanent infrastructure will be constructed for the festival ground. •	The historic Diggi Palace is hosting the five-day Jaipur Literature Festival. •	The Jaipur Literature Festival is an annual literary festival which takes place in the Indian city of Jaipur each January. •	It was founded in 2006, and from 2008 has been produced by Teamwork Arts. •	The Festival’s core values are to serve as a democratic, non-aligned platform offering free and fair access. •	India’s employment generation in the last five years has remained weak. •	64 per 1,000 persons appear to be unemployed in the working age group of 15-59. •	The problem of unemployment has become more acute for youth and women. •	Youth are three times as likely as adults to be unemployed. •	By 2020 there should be a substantial reduction in the proportion of youth in the category of Not in Education, Employment and Training. •	As per ILO estimates, 27.5% in India are in this category, of which 8% are men and 49.3% are women. •	In India, majority of women work under the category of “housewives”. •	Unfortunately, in India’s economy, neither their contribution nor their presence gets counted in the GDP. •	Women have a low enrolment rate in secondary and higher education. •	The percentage of women not in education, employment and training in all age groups is low compared to men. •	‘Other than Premium’ category – Sampark Kranti, Intercity, Jan Shatabdi and other Mail and Express trains.